What if you could sit down with a group of the top leaders in the world and just listen and learn. What an honor to soak up all of their ideas and experiences. You can! 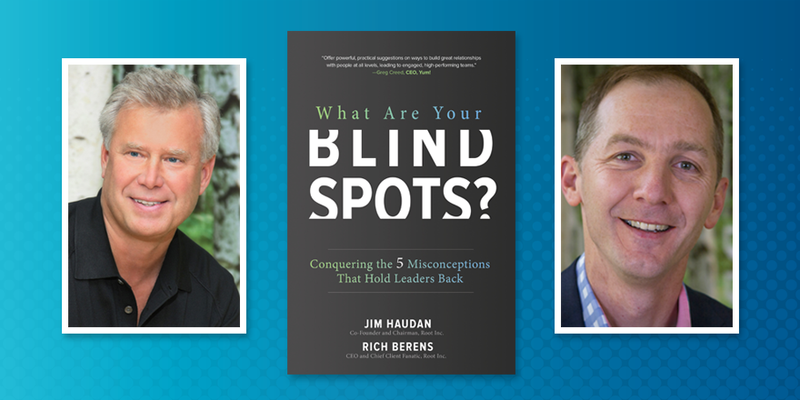 The new book LeaderSHOP by Dr. Rodger Dean Duncan offers incredible insights on the workplace, career, and real life advice from some of the top leaders around. Here is a guest blog from this new gem! A first tendency of many business people is to fix things. After all, they’re paid to solve problems, so the metaphor of the mechanic seems natural. Unfortunately, some leaders then try to “fix” people. Rather than adopt the role of mechanic, great leaders adopt the role of gardener. What does a gardener do? A gardener creates an environment that encourages growth. An environment full of light and nourishment. An environment with sufficient space for stretching and expanding. Leadership—and gardening—are all about creating positive change. Great leaders—and great gardeners –resist the temptation to micromanage. They know that flowers cannot grow if you keep jerking them out of the ground to check the roots. Great leaders don’t get hung up on position or titles. They invest their energy in creating devotion to a worthy cause. They are more interested in getting a job done than in who gets the credit. Let me illustrate: I worked with a CEO of an organization that had lost $156 million the previous year. He was brought in from the outside to turn the company around. On his third day on the job he went out into the employee parking lot behind the headquarters building. There was a row of “privileged” parking spots closest to the building. In front of each parking space was a sign with the name of a senior executive. The CEO took a can of spray paint and sprayed over each name. He knew that many employees were looking out their office windows, likely wondering what the CEO was up to. After spray-painting over all the signs, the CEO went inside and got on the building intercom. He said he felt like the high school principal making morning announcements. “Some of you saw me spray over the names of our executives in the parking lot. You may be wondering, ‘Is he firing the executives?’ No, I’m not firing the executives. We need ‘em. We need everybody. We’re all in this boat together and we need to row together. Last year this company lost $156 million. We can do better. We must do better. This CEO was demonstrating what it means to be a gardener and not a mechanic. He did dozens of things like that. The cumulative effect was that he created an environment where his people felt involved and obligated regarding the needs of each other and the needs of the organization. He helped his people see themselves in a fresh light. He helped them see each other in a fresh light. He helped them see their marketplace potential in a fresh light. Rather than smother his people with constraining rules and policies, he gave them elbowroom to try new things and experiment in new directions. Rather than cut his people down for past poor performance, this great leader chose to lift them up toward future great performance. He created an environment full of encouragement, collaboration, and personal accountability. So what was the result? In only 12 months that company harvested a $207 million improvement in profits. It’s now a case study at the Harvard Business School. Now, was this guy some sort of flower child? Did he sing “Kumbya” and other camp songs in the employee cafeteria? No. He’s actually one of the toughest-minded business people I’ve ever known. And he’s one of the most effective leaders I’ve ever had the privilege of working with. Great leaders know that you can rent a person’s back and hands. But you must earn a person’s head and heart. Great leaders know that organizations are living organisms with many interrelated elements, capable of extinction or growth. Great leaders invest energy in growing rather than fixing. They are gardeners. They create a nurturing environment—or culture—and they cultivate with care. Be a gardener, not a mechanic. Don’t try to “fix” people. 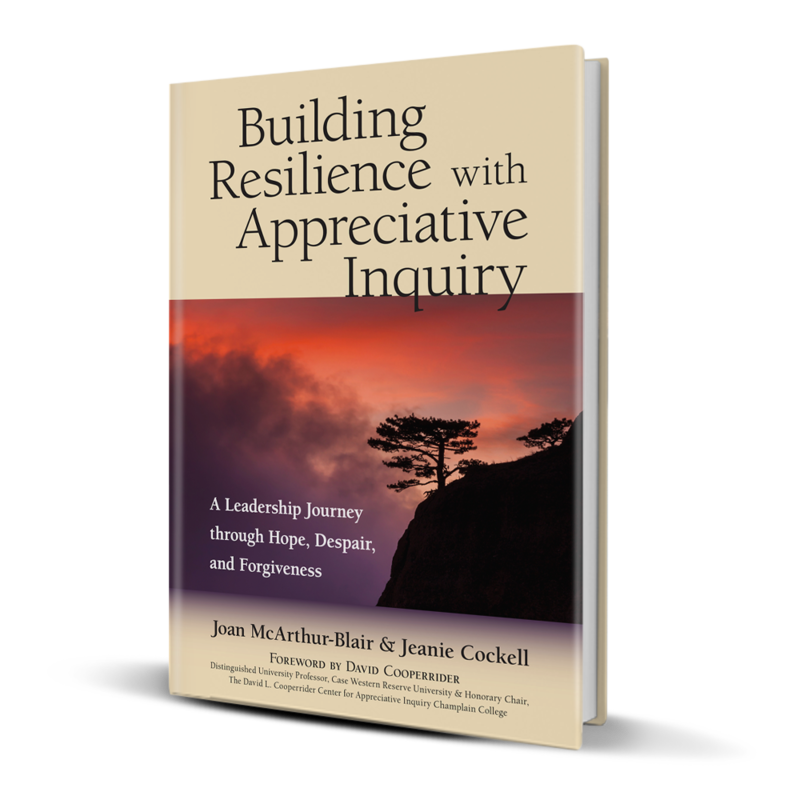 Create an environment that affirms and encourages people. An environment that places a premium on solving problems and getting results. An environment where blame is weeded out and people feel free to stretch and grow and produce. Is this just warm and fuzzy, touchy-feely stuff for “soft” people? Not at all. It’s the key to the hard realities of high performance in a tough and fast-moving world. Believe it. Practice it. It makes all the difference. In our hectic world it is more important than ever to bring our work and personal lives into focus. 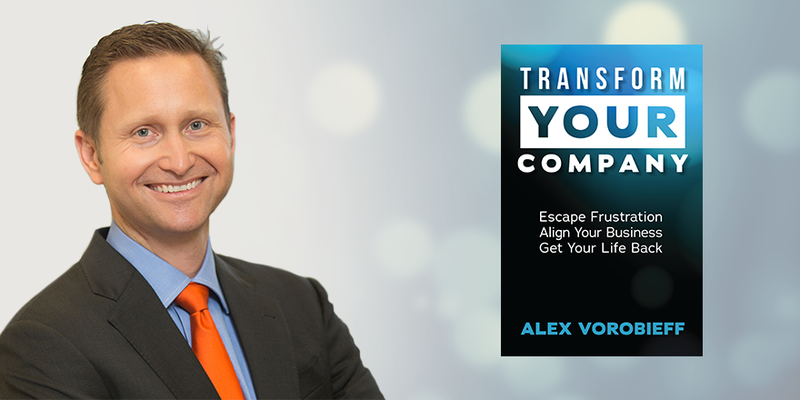 Alex Vorobieff’s new book Transform Your Company - Escape Frustration, Align Your Business, and Get Your Life Back is an effective tool to Discover, Learn, and Eliminate in order to make change whether you are a business owner or part of a team. The Other Form of Compensation – Does Your Company Offer it or Extract a Tax? Why do people want to work for your company? Do you have a clearly defined answer? Why are the best going to give to your company their all and majority of their waking hours? Monetary compensation only goes so far especially with the younger generation. More and more people want to work for companies with a purpose and culture that aligns with their values while performing work that is fulfilling. In addition to monetary compensation, they are seeking emotional compensation. Unfortunately, companies without a thought-out emotional compensation plan are more likely to extract an emotional tax. When a company is frustrating to work in, people feel it especially A-players and they grow resentful. People leave companies when they are frustrated when they realize marginal dollars don’t compensate for the emotional taxes. When you hire A-players, does their life-cycle with the company follow a similar pattern? Do they join the company engaged but grow distant and surly over time? They likely grow tired of paying emotional taxes. Alright, Vorobieff, I get it, our company needs to remove the emotional taxes and replace it with emotional compensation. What are the forms of emotional compensation? It starts with acknowledgment. People want to be acknowledged for their effort and contribution. “But they are paid to do their job.” Acknowledgment doesn’t cost anything. When you acknowledge the good when you point out poor performance they know you see the positive and the negative and it is more likely better received. Many people spend more energy on trying to receive acknowledgment than on achieving material objectives and if your compensation plan focuses solely on money? Your wasting money. Other parts of emotional compensation include being proactive. Consistently work to identify what processes are working and which are not. If they are paying a frustration tax, working with them to eliminate it is a RAISE. Companies that pay emotional compensation do not force their employees to find competitive offers from other companies to leverage changes in their current positions. But where do you start? Assess whether your company is paying emotional compensation or extracting an emotional tax. The most common form of an emotional tax is frustration working in a dysfunctional business. Lifting a burden is a raise and the first step to unleashing your HumanPower. Founder and CEO of The Vorobieff Company, Alex Vorobieff is a business turnaround specialist, working to implement Business Alignment Tools for their specific needs. Alex has served as clean-up CFO and president of companies in telecommunications, aviation, aerospace, and real estate development, leading successful turnarounds in as little as three months. He shares his how-tos and techniques through Confident ROi magazine and his latest book, Transform Your Company: Escape Frustration, Align Your Business, and Get Your Life Back. Luckily, the hammer approach to leadership has been changing, albeit slowly, over the years. Leaders are becoming more personal, understanding, learning to be servant leaders, and humble. The new book The Future of Leadership by Edgar and Peter Schein offers insight into how leaders need to work smart and be humble. 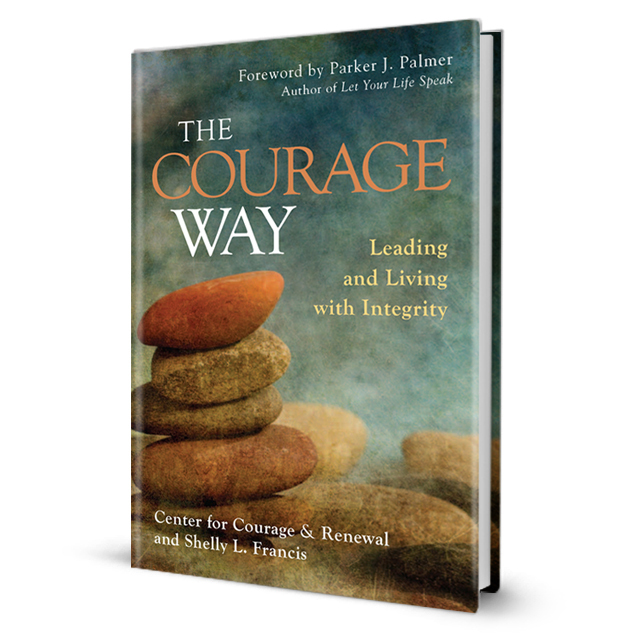 They tackle issues like the power of relationships, openness, and trust. Here is a story of humbleness from a place you wouldn't expect - the military. We were recently told a memorable story by a retired US Navy admiral that illustrated how “collapsing” the hierarchy and opening the door to Level 2 relationships can sometimes be done quickly and decisively. The admiral, at the time, was in command of a nuclear-powered US Navy aircraft carrier. Effectively, he was the CEO of a 5000-person co-located organization for whom safety and high-quality performance would be top priorities. As a nuclear scientist and naval aviator, his background, experience, and hands-on knowledge suited him exceptionally well for the technical aspects of his mission, yet his instincts as a leader are what this story is about. Given normal Naval hierarchy and protocol, this error would have been recorded, post-mortem debriefed and corrected, and there would have been some degree of reprimand and disciplinary consequences for the blue jersey. The admiral told us that this was not outside of the normal course of aircraft carrier flight deck operations. Complicated things happen, and the US Navy has a few hundred years of organizational knowledge to deal with such incidents. That is, the commanding officer could have let the hierarchy work the problem and the solution, but that is not what happened. Instead, he invited the blue jersey to the bridge to discuss the incident, just the two of them. One can hardly imagine how that junior chocks and chains handler must have felt, getting called up to the bridge, presumably to get reprimanded directly by the commanding officer. Knowing how critical these intricate details of deck and aircraft handling are to the safety and to the mission of an aircraft carrier, the commanding officer, a pilot himself, wanted to hear directly from the deck what had happened, perhaps why, and certainly how and why it would not happen again. At a deeper level, he cared more about the truth and the process, and far less about the discipline to be applied. The system would take care of that. What must that meeting have been like? Was the blue jersey terrified, mortified, contrite, and reconciled? If all of those feelings were present, how would the commanding officer get to the truth of what happened? The admiral told us how he managed to quickly create what we would describe as psychological safety for the deckhand by focusing the conversation on his own curiosity of what had happened and why, making it clear that this meeting was not about punishment but about exploration. The shared goal was for that junior seaman to walk away from the meeting with a dedication to doing it better, not a reprimand for doing it wrong. A reprimand would certainly reinforce a commitment to the hierarchy. As commanding officer the admiral wanted commitment to the task, to safety, and to quality performance. With the gesture of calling this meeting, and focusing the dialogue on the person and the truth, he reinforced his commitment to improving the processes that save (or could cost) lives on an aircraft carrier. The visible, personal two-way dialogue demonstrated a commitment to a process that the most senior leaders and the most junior sailors could identify with and learn from. Stepping back from this case, small acts of Humble Leadership by the admiral may well have been a matter of course in his organization, a culture set by a senior leader that existed before and after this incident. This does not change the story except to amplify the truth that this admiral had a clear sense for the importance of personization, establishing openness and trust, even in a 5000-person hierarchical organization. What is most striking to us about this story is that the existence of a steep and formal hierarchy does not require the persons at the top of that hierarchy to behave in a transactional Level 1 manner. They can choose to personize at any time and at any level, thereby very visibly reinforcing some of the central values that they wish to highlight. Edgar H. Schein is Professor Emeritus from the M.I.T. Sloan School of Management. He’s a pioneer in organizational studies, organizational culture and leadership, process consulting, career development. Ed’s contributions to the practice of O.D. date back to the early 1960s and continue with the recent publication of Organizational Culture and Leadership 5th edition and now Humble Leadership, co-authored with Peter A. Schein, co-founder of OCLI.org who brings 30 years of hands-on experience in large and small companies leading growth initiatives in Silicon Valley. Women continue to drop out of the workforce in large numbers because of the barriers that we face. Unfortunately, we don't help ourselves any because we are often our own worst enemy. We need to collectively take back control of our careers and use our strengths to become the influential leaders that we really are deep inside. 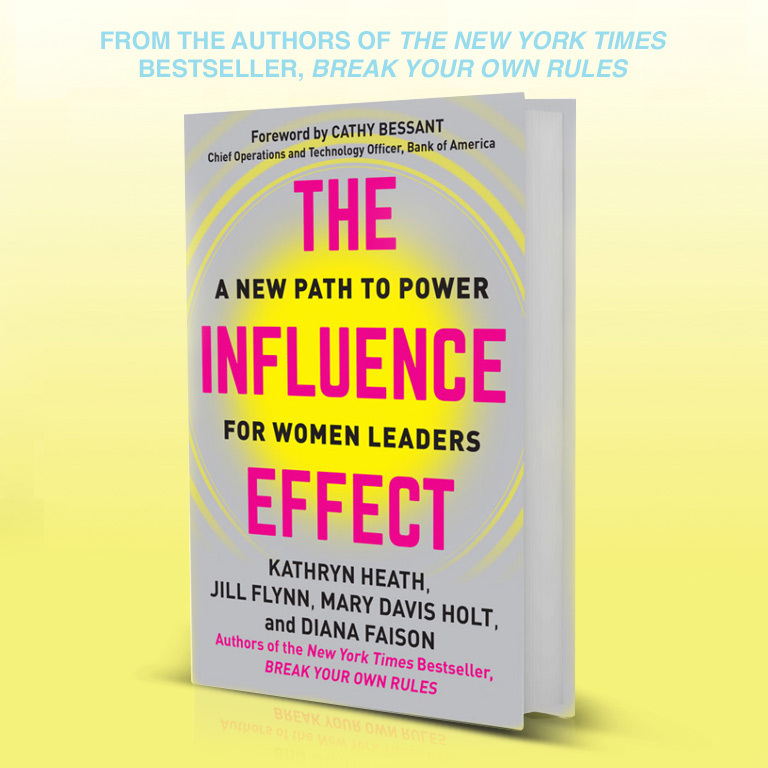 Here is a guest post from Jill Flynn one of the authors of the new book The Influence Effect. There is almost nothing more crucial to success in any organization than developing excellent leaders. It is a no-brainer. But, although there’s no shortage of ambitious people with executive aspirations, what threatens the strength of your leadership pipeline may be a scarcity of senior-level women. You may have seen the stats: Women are entering the global labor force in greater numbers than ever before; they earn more undergraduate and graduate degrees than men in many countries; yet, just 13 of 500 CEOs running Fortune 500 Global companies are women. In addition, the gender wage gap across the world remains significant. Some of this can be attributed to the type of age-old gender stereotypes and traditions that take generations to eliminate. But there are other culprits to consider—ones that are within our control to address right now that will significantly strengthen women’s chances of rising to the top of organizations. Over the past decade, my colleagues and I have coached and trained over 7,000 professional women, traveled across the globe and to Africa to speak with women, and interviewed over 3,200 senior executives to find out how they believe women can be more successful. What we’ve found is that for women in middle management, and particularly those approaching the top, continued career momentum is not about adding technical skills. Many women are taught as children to behave in certain ways that don’t help them succeed as executives. What women need to do in order to succeed at higher levels in global business is to think differently. 1. Take Center Stage (Instead of focusing on others): Many of the smartest women around the conference table focus too much of their attention on other people’s needs. They are assisting others, pitching-in and volunteering to pick-up other people’s slack. This leaves precious little time and energy to allow themselves to thrive professionally and personally. The instinct to put others first can work against women by keeping them from focusing on their own career goals. The result is that too many women let their careers “happen to them” rather than putting themselves in the driver’s seat. We tell women to invest in themselves and have a written plan for their career. Women who have a clear vision for what they want to achieve are much more likely to own their ambition and work in ways that allow them to succeed. 2. Proceed Until Apprehended (Instead of seeking approval): In our coaching sessions we’ve worked with countless women executives who are exceptionally collaborative leaders. They like to be liked, but the desire for consensus can slow them down. In order to succeed, women need to retain that core strength of collaboration while at the same time acting creatively and decisively to make things happen. They need to stop “asking for permission” and instead demonstrate behaviors that exhibit leadership. In terms of career success, we tell women that remaining silently behind the scenes is much riskier than putting forward bold ideas and proactively campaigning for the big assignments. 3. Project Personal Power (Instead of modesty): We’ve found that many women who are motivated to move into leadership positions are ambivalent about projecting power. Modesty and self-deprecation come more naturally. In fact, some women act downright apologetic in the face of success—as if it doesn’t suit them or they don’t deserve it. To exude confidence and power, women need to pay attention to their non-verbal messaging. Stance, eye contact, tone of voice, and facial expressions all send a message to others about confidence. In addition, women need to take credit for their many ideas and accomplishments. Taking credit for their success and being assertive will help women move more quickly into the jobs they want. 4. Be Politically Savvy (Instead of working harder): Many women are disappointed when their hard work and long hours don’t seem to pay-off in terms of career advancement. They dislike politics and try to remain above the fray. Yet, being politically savvy is actually about building relationships, achieving consensus and networking—women are great at these things. We coach women to build their careers as if they are running for office: create a platform of ideas, line up sponsors, put together a coalition – and then do it over and over again as their agenda and goals change. 5. Play to Win (Instead of playing it safe): We hear in our interviews with senior executives that women need to get out of their comfort zones, be bold and take risks. Women can make themselves visible in this way by taking the lead on high-stakes projects and bringing in new business. Putting themselves out there means getting comfortable with risk and the possibility of failure. It may seem safer to let someone at a higher pay grade take the risks, but it is the major decisions that offer women the best opportunities to establish their credibility as leaders. 6. Have a Both/And Perspective (Instead of all-or-nothing thinking): One phrase that has crept into dozens of our coaching files over the years is the notion of having it all. It’s no coincidence that many of the women who are trying to have it all are also the ones who get burned out. There’s no one right way to succeed, but avoiding black and white thinking – and remaining flexible – can help women establish leadership credibility. Because complexity and constant change are everywhere today, dealing with ambiguity has become skill that all of us (not only women) need to master. As these new rules illustrate, we’ve found that most high-performing women don’t need to make major changes in order to give themselves a better chance to succeed. Small adjustments in how they think about themselves can have a big impact on their everyday behaviors and lead to visibility and continued career momentum. And that outcome will be good for everyone. From a bottom line perspective, paving the way for more women at the highest levels in leadership is a net positive for business. Women are natural consensus builders and collaborators, so they are well suited for the nimble, less hierarchical workplace of the future. And research proves that companies with more women leaders have a higher return on equity and a better return on sales. There’s no doubt about it: when women get ahead it is good for business. Jill Flynn is a founding partner at FHHL and a co-author of Break Your Own Rules and her latest co-authored book, The Influence Effect: A New Path to Power for Women Leaders. Jill previously served as Senior Vice President at the nation’s fourth largest bank, First Union (now Wells Fargo), where she established their leadership development, diversity, organizational consulting and employee satisfaction initiatives. As the corporation grew exponentially during her tenure, Jill and her team prepared a cadre of high-potential leaders to assume senior positions. Within a three-year timeframe, the number of women in these roles increased from 9% to 26%.